Tinytag Explorer Connect software is required to use the Connect central data management feature of Ultra Radio, Plus Radio and LAN data loggers. The software is sold on a site licence, allowing unlimited users on one site. You only need to buy an additional copy of this software if planning to use it at a different location. 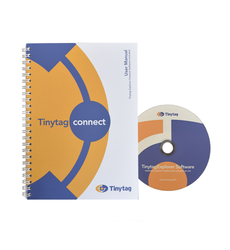 Find out more about Tinytag Explorer Connect.